Jose Mourinho is eager to secure the signature of a winger in the upcoming transfer windows, according to Manchester Evening News. The Manchester United manager is eager to bring in a new wide-man to add some much-needed quality to a position that is incredibly lacking in depth. The club was linked with Gareth Bale and Ivan Perisic in the summer, but neither of those moves materialised, much to the frustration of the Portuguese tactician. Despite the failure to secure what would have been his fourth and final target for the last summer transfer window, Mourinho wasn’t said to be too distraught, and was prepared to make do with what he had in Marcus Rashford, Anthony Martial, Jesse Lingard, and Henrikh Mkhitaryan. His stance has definitely changed though, having seen his side struggle to produce any creativity whatsoever in the wider positions, which has undoubtedly had an effect on Romelu Lukaku’s goal-scoring form. Rashford has had an average season so far, scoring 9 goals in 29 appearances. The youngster does possess immense potential, but has struggled in recent weeks, with Martial now being favoured over the Englishman. 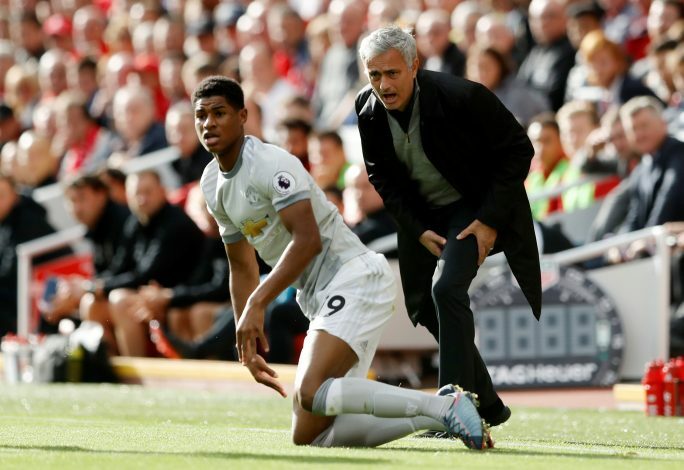 The inconsistency has prompted Mourinho to get United’s cheque book out once more, as he makes the signature of a new winger his top priority for the upcoming windows. Brazilian wonderkid Malcom, who plays for Bordeaux, has recently been linked with a switch to Manchester, and could very well make the move to Old Trafford next month.